Surprises today included a nun from Italy who joined us and God speaking through Chris Rea! I do love what I do. There’s never a dull moment. This seems to be a bit of a habit of God that he doesn’t seem to do dull. My experience is that he likes to surprise and ‘wow’ people and today was no different. 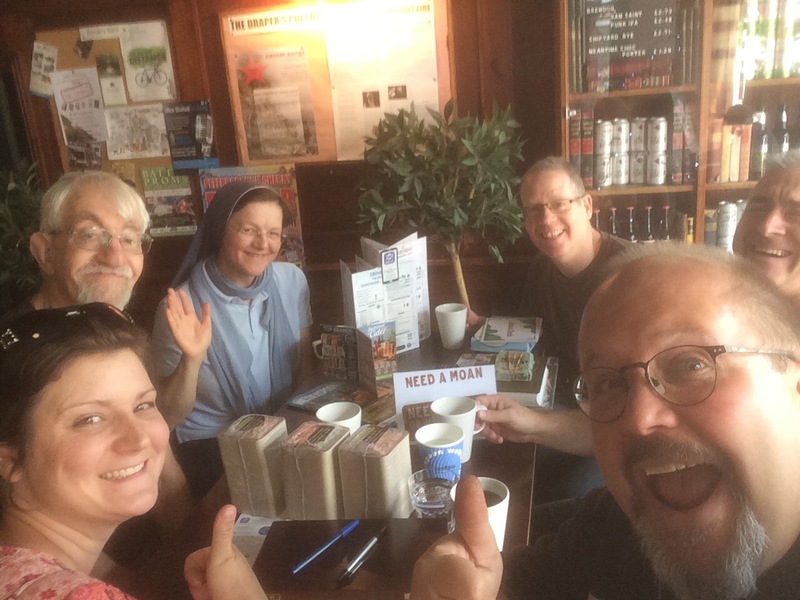 Previously in the week I had spoken at a Peterborough Deanery Synod and someone there encouraged one of their language school students to come and have a look at what we do in the pub. Our guest was a catholic nun from Italy and for the first time ever she painted a prophetic picture and went and gave it to someone. They were encouraged! This man who had been feeling down had been listening to a Chris Rea song just as he left his flat to venture to the pub. The song was all about ‘listening to your heart beat!’ The man felt incredibly known by God! I love how God speaks.